2013 was a roller coaster for sure, from the depths of January through March (losing to City and Chelsea, embarrassingly losing to Blackburn and Bayern Munich in quick succession, then falling farther behind Spurs,) to the heights of April and May (pipping that lot for fourth,) to the depths of that loss to Aston Villa, to the heights of signing Mesut Ozil and winning 10 on the bounce, to the depths of this December's blip (more on that later,) to the heights of where we are now. For the first time in six years, Arsenal enter the New Year top of the league. We're halfway there. 19 games have been played, 19 games remain, and everybody has played everybody else once. Arsenal are top of the league on merit; you can't say any of this "who have they played?" stuff because everybody has played each other now. Arsenal remain top, even though they have not beaten the likes of City, United, Chelsea, or Everton. Remember, every game counts for the same three points. That's why Arsenal have to do well to beat the teams they should beat. While City goes off and loses to Sunderland and Cardiff and Aston Villa, and Chelsea goes off and loses to Newcastle and Stoke, and the rest of the pack have dropped plenty of questionable points, Arsenal's only truly "WTF" result was the opening day aberration. 42 points earned, 57 more on the table. Let's take them three at a time and make 2014 one worth remembering. Hey, so, that's 12 players there in that list. I have absolutely no idea where to begin with this list, so let's go with what we knew before the Newcastle game first, bullet point style! Aaron Ramsey's indeterminate absence period looks to be about 3 weeks. Mesut Ozil's "2-3 games" has turned into "2-3 weeks," but to be fair, they don't play for eight days after the FA Cup tie anyway. In terms of long-term injuries, Alex Oxlade-Chamberlain will be back the soonest, though that won't be today. Yaya Sanogo (LANS!) is a few weeks more from there. Abou Diaby is Abou Diaby. Thomas Vermaelen and Nacho Monreal will have their illnesses monitored and face late fitness tests. Kieran Gibbs was substituted from Sunday's win in Newcastle with a hamstring injury and is definitely out for today's game. 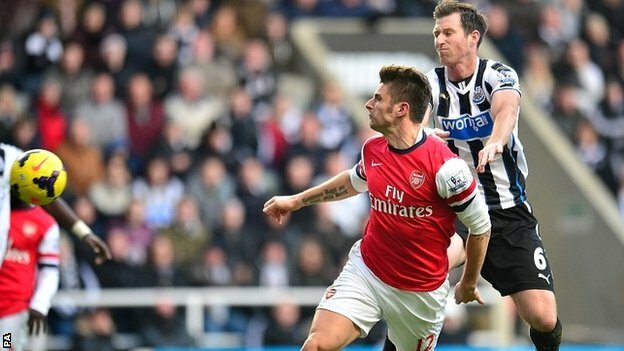 Olivier Giroud will not play due to the ankle injury he picked up on Tyneside. To be fair, I would have rested him in this game anyway. Theo Walcott, Jack Wilshere, and Tomas Rosicky all have knocks and are all considered doubts. It should be noted that Vermaelen, Walcott, and Wilshere all trained with the first team yesterday. Wojciech Szczesny will start in goal. I would not be surprised to see Lukasz Fabianski start the cup tie on Saturday though. Just thought I should mentally prepare you for that now. Bacary Sagna, Per Mertesacker, Laurent Koscielny, and Carl Jenkinson are all certainly available for selection from the back line, so it's a question of how many other guys are fit. It would have been nice to give Per a rest, but injuries and illness may preclude that. If both Gibbs and Monreal can't play, Sagna can play left back with Jenkinson on the right. Certainly available for the midfield five, there's Mikel Arteta, Mathieu Flamini, Santi Cazorla, Lukas Podolski, Serge Gnabry, and Ryo Miyaichi. That's only six names, so I suspect at least one of the players with "knocks" will play. Nicklas Bendtner hat trick, maybe? Defender Andrew Taylor has been out since taking a knock against Southampton on Boxing Day and faces a late fitness test; if he cannot start, teenager Declan John will continue to deputize at left back. Arsenal will therefore hope Theo Walcott passes fit, to exploit John's inexperience. Steven Caulker and Ben Turner should start at center back with Kevin Theophile-Catherine at right back and David Marshall between the sticks. 34-year-old Craig Bellamy has not played since November 9 with a knee injury; Cardiff play five in the midfield behind a central striker, likely to be Fraizer Campbell. Against Sunderland at the weekend, that midfield five included Gary Medel, Jordon Mutch, Peter Whittingham, Kim Bo-Kyung, and Craig Noone. Caretaker manager David Kerslake could also choose to start Aron Gunnarsson, Don Cowie, or Peter Odemwingie in the midfield as well. 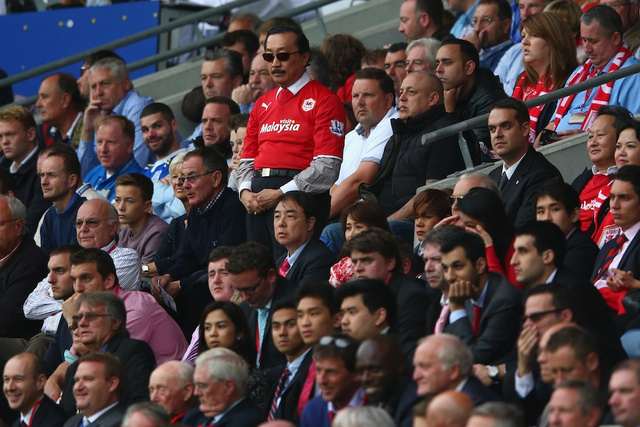 There's been plenty said about the crazy soap opera that is Vincent Tan lately, especially after earlier this week he said he wanted Cardiff to sign players with 8's in their birthdate (which is actually a Chinese superstition that I had heard before, but was unaware spanned to other Oriental cultures.) I would like to take this opportunity to point out that I actually have two 8's in my birthdate and am available starting at £50,000 a week. bliplivion, as I call it. Arsenal have won their last two matches, both road games under trying circumstances, to officially put the December "blip" behind them. Any stumbling from this point on is, in my opinion, a separate blip. Blip is a funny word. Blip, blip, blip. But, I digress. Arsenal are top of the league at the halfway point of the season; the last time Arsenal sat perched atop the table entering New Year's Day was 2007/08 and unfortunately, we all remember how that turned out. The last time Arsenal were at any point top of the league in the second half of the season was in 2009/10, on two separate occasions, although each of those instances occurred because their title competitors had games in hand. Cardiff City are currently in 16th place, just two points clear of the drop zone. They have won just once on the road this season and that was at 18th place Fulham in September. Their road form is 17th in the Premier League, having also picked up draws at Hull, Stoke, and Norwich. They've lost at Chelsea, Liverpool, Aston Villa, and West Ham, all by two goal margins. They have won once in their last nine matches overall in the league, 1-0 over West Brom in mid-December. In the nine match span, they've lost five and drawn three. Cardiff's best results have come at home this season, where they have beaten Manchester City and drawn Manchester United and Everton. of his two goals at Cardiff in late November. Arsenal won the reverse fixture just a month and a day ago 3-0 at the Cardiff City Stadium; Cardiff academy product Aaron Ramsey scored twice with Mathieu Flamini adding the other Arsenal goal. Cardiff's last year in the top flight, before this season, was 1961/62. Both matches between the clubs ended in 1-1 draws that season. Arsenal finished 10th that year. Cardiff's last win over Arsenal came the season before that, 3-2 at Highbury. Across all competitions, Arsenal are unbeaten in their last 12 matches against Cardiff, winning seven and drawing five. Cardiff are unbeaten in their last three league games at Arsenal, but since their last visit came in 1962, that's hardly relevant. Arsenal have a solid record around the New Year, despite a 1-1 draw at Southampton on New Year's Day last year. The last time the Gunners lost the first league game of a calendar year (which, admittedly, means very little) was 2001, when Arsenal lost on New Year's Day 1-0 at Charlton Athletic. The referee is West Yorkshire-based Jonathan Moss, though he was born in Sunderland. 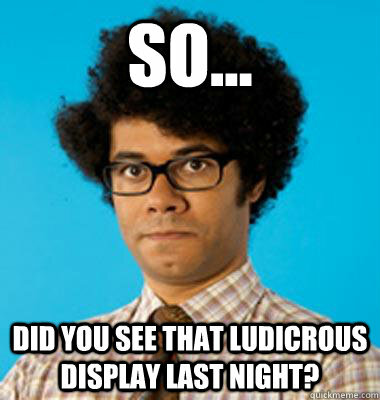 Neither Arsenal nor Cardiff City have had Moss this season. Arsenal had Moss as their referee three times last season, all road victories with clean sheets to boot: 1-0 at Wigan (via a penalty,) 2-0 at Swansea, and 1-0 at Queens Park Rangers. Moss worked only one other Arsenal match prior to last season, a 2-1 Gunners win at Aston Villa, so Arsenal have four wins from four matches with Moss in the middle. Cardiff City have not had Moss as their referee since they were in the Championship, on September 17, 2011 when they drew 1-1 at Blackpool. Moss had been promoted to the Select Group for the 2011/12 season. Moss, now 43 years of age, may seem old for someone just recently promoted to the Select Group. However, he has been a qualified referee since 1988; he did not concentrate fully on refereeing until he stopped playing the sport in 1999.